parks and hospital car parks throughout the country. 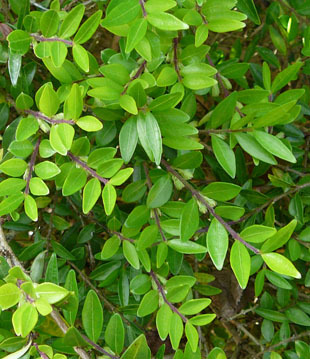 The naturalised escape is thinly scattered, but is locally common. and first noted in the wild in the late 1950s. 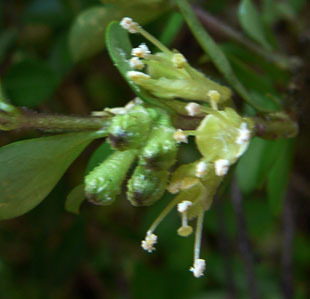 similar Wilson’s Honeysuckle (May Wilson's Honeysuckle). 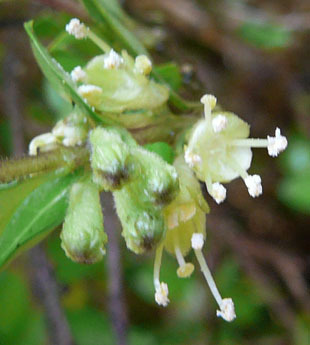 The stamens protrude and are also cream. 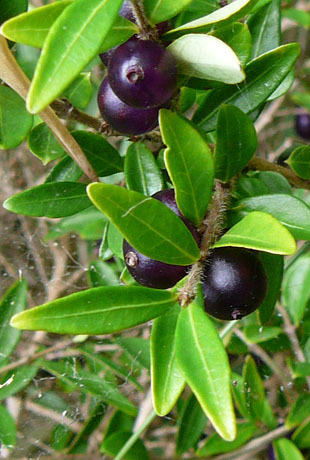 The fruits are dark purple-black berries. 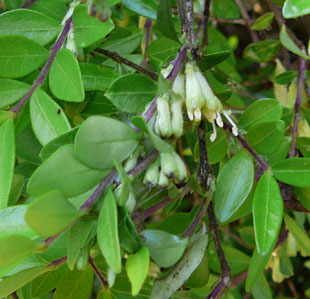 than in Wilson's Honeysuckle (also used in hedging and topiary).